Liquid bread? Bock. It's what's for lunch. Ayinger Doppelbock: pronounce it "EYE inger". Brewed by Ayinger Privatbrauerei in the town of Aying, fifteen miles southwest of Munich, in Bavaria, Germany. Doppelbocks ("double bocks") were probably first brewed in the 17th century by monks in Bavaria - a stronger version of bock beers that originated in Einbeck, Germany. 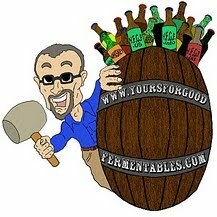 Doppelbocks are usually rich, malty lagers; usually dark-colored; the names often end with the suffix "-ator." 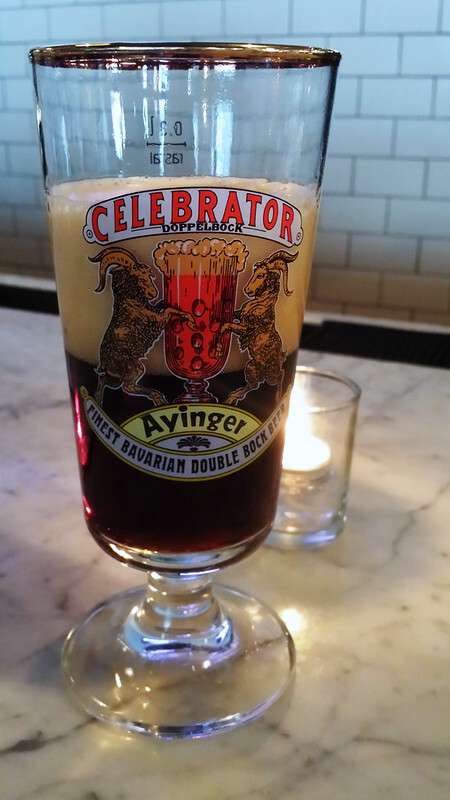 Ayinger Celebrator is probably little changed from the doppelbock first brewed at Ayinger in 1878; Ayinger's doppelbock was once called "Fortunator" but this global classic is called "Celebrator" around the world now. Dark brown (with crimson streaks). Toasted pumpernickel bread topped with a schmear of plum jam. Some baker's chocolate. Slightly sweet, nutty finish. On draft at Lyon Hall, in Arlington (Clarendon), Virginia. 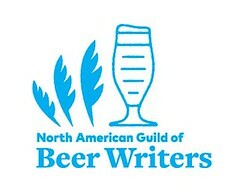 Caveat lector: As a representative for Select Wines, Inc. —a wine and beer wholesaler in northern Virginia— I sell the beers of Ayinger. The U.S. importer is Merchant du Vin. Any opinions here are mine alone.